Representation in Scientific Practice, published by the MIT Press in 1990, helped coalesce a long-standing interest in scientific visualization among historians, philosophers, and sociologists of science and remains a touchstone for current investigations in science and technology studies. This volume revisits the topic, taking into account both the changing landscape of STS and the emergence of new imaging technologies in scientific practice. It offers cutting-edge research on a broad array of fields that study information as well as short reflections on the evolution of the field by leading scholars, including some of the contributors to the 1990 volume. Our chapter Networked Neuroscience discusses the conditions that make brain scans authoritative visual objects and analyses three important dimensions of scans. We show how scans are increasingly parts of suites of networked technologies, rather than standalone outputs. We then trace the increasing presence of databases of scans in the constitutions of atlases and the consequences of ʻdatabase logicʼ for visualisations. The third related development is the role of scans as interfaces, where they serve to open up a range of possibilities, rather than to stand in as a fixed representation. Together, these dimensions help characterise the visual in digital and networked settings of contemporary science, and enable us to trace how the very concept of the authoritative image has been transformed. … is the finalisation of a chapter for the edited volume New Representation in Scientific Practice, edited by Catelijne Coopmans, Mike Lynch, Janet Vertesi & Steve Woolgar. MIT Press. Brain scans have been in heavy circulation these past 20 years as some of the most fascinating and ubiquitous digital images in scientific and cultural spheres. In this chapter, we analyze how the scans are both digital and networked images that depend on suites of technologies (Shove 2007) for their constitution and meaning. 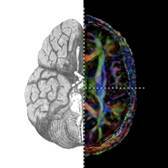 In particular, we will show how the production and reading of brain scans function in different suites, some of which reinforce a modernist, mechanical, pipeline approach to brain imaging, where digital images are acted upon as measurements, and others that highlight the interactive and interventionist potential of digital imaging, where brain scans are constituted as fluid animations. We argue that brain scans come to be associated with specific kinds of authority through complex ecologies of visualization routines in digital visual culture. In particular, brain scans are focal points in arrangements of scanning and database technologies, constituted in electronic networks where individual experiences are mediated by interfaces. New modes of seeing and novel technologies co-evolve with adjustments in particular epistemic approaches, at times resembling earlier practices and at times moving towards new kinds of objectivity. A geat piece by Tara McPherson has recently appeared. Not only does it contain important insights about the first few years of experimentation at the journal Vectors, but is also describes important efforts to rethink scholarly communication in relation to the visual and to the archive. Topics close to our hearts here at Net Real. This essay proposes that bold new forms of experimentation and bookishness are necessary if we are to advance (and perhaps save) scholarly publishing in the humanities. Possible issues facing presses are considered through consideration of two examples in scholarly publishing that involve the author. The first example, the experimental journal Vectors, highlights the advantages and limits of certain types of multimodal scholarly communication for the humanities. The second example, the new Alliance for Networking Visual Culture, points toward new methods of workflow and publishing that link archives, scholars, and presses. The essay ends with a list of key questions that presses will need to address as various stakeholders collectively expand what we understand humanities publishing to be. 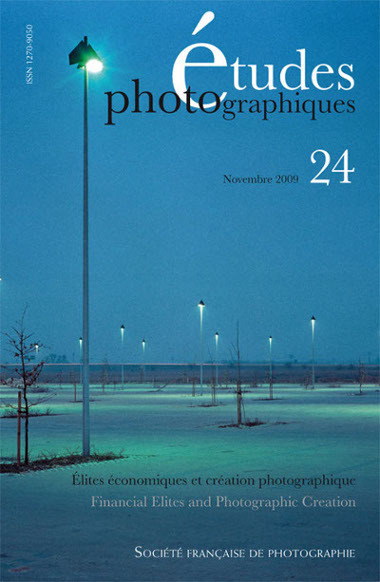 A wonderful publication, called Études Photographiques, brought to my attention by one of my informants in the Flickr case, who noted that an article on image sharing would be of interest to me. This journal is published by the Société française de photographie, in collaboration with CNL, CNRS and Ryerson University (Toronto, Canada). Interestingly, this bilingual journal has both a paper and web-based edition, though the articles on the web generally do not have images, due to copyright restrictions.